The Law Firm of Wells, Call, Clark, Bennett & Clawson is well known and highly regarded for its exceptional representation of personal injury clients. 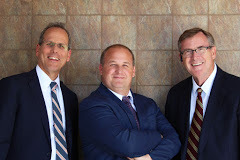 Our commitment to serving our clients with distinction runs deep because our attorneys grew up in Northern California and still live in the communities in which we practice. Clients benefit from our extensive knowledge of local courts and venues. We are powerful advocates in the quest for the best possible outcome in every unique case.